Oh, indicas… Where would we be without you? Indica strains helped launch the indoor grow room revolution, prior to which most cannabis available was grown outside and sativa-dominant. Indicas, thanks to their more “body” than “head” feeling (although this is a gross over-generalization) also bought in the term “couchlock”. Indicas generally also tend to be more likely to contain a higher amount of CBD and terpenoids such as myrcene and, arguably, linalool. However, the difference between Cannabis sativa and Cannabis indica are more surface than genetic – they both hail from the Cannabis sativa plant, and only a lab analysis can truly tell us about the effects a particular strain of cannabis may have. When indica seeds were made more available during the 70s and 80s, no longer did people have to worry about painfully recreating the Mediterranean, tropical or sub-tropical environment usually needed to effectively grow sativa strains. People also started to cross indicas and sativas, meaning that haze and other sativa-dominant strains could become manageable to grow indoors in an otherwise much colder environment. However, for some, the introduction of indica strains has also meant the bottle necking of cannabis genetics due to constant crossing(arguable – crossing rare landrace strains can also save genetics to an extent). Thankfully, things have changed as breeders realize that saving medical marijuana means having a wide and varied genetic pool to select from and not necessarily breeding just for for psychoactive cannabinoids, as different strains mean different cannabinoid and terpene profiles. Still, indicas are great for a variety of reasons, including their high CBD content. Below are 6 of the best/most influential around, in no particular order. An example of Afghan Kush from Ganja Runner. This is one of the “cornerstone” strains that helped foment the indoor cannabis revolution and introduce the world to indica flowers and their power. Prior to this, most produce from Afghanistan was in the form of hashish, but people now have the chance to grow their own and make clean hash in their very own homes. Afghani forms the backbone of many other strains, and is the one to go for if you suffer from pain or insomnia and want a “sedated” effect. It is one of the purest “couch lock” strains around. Many indicas come from or are crossed with plants of Afghani heritage, like Maple Leaf Indica (an excellent choice to grow in colder North American climates), Northern Lights and Blue Moonshine. There were nine Northern Lights – all Afghani phenotypes suitable for growing in non-Central Asian climates. Of these nine phenotypes, it is said that #5 is the best, although types #1 and #2 can be found in strains like Ortega. NL#5 is considered the most reliable and homogenous variety. Such characteristics are great for breeders, as it gives them a “blank canvas” with which to cross other, experimental strains with. Furthermore, NL#5 has been imbued with a small amount of sativa, increasing the length of the Afghani euphoria stone, but diminishing some of its “couchlock” effects. Now, this is not to say that NL#5 doesn’t have a relaxed, sleepy stone – it definitely does. However, those looking for a phenotype with relaxed stone with less of the couch lock could do worse than NL#5. Also great for the libido, apparently! Blueberry can be used to treat a number of conditions. Despite being an indica, Blueberry comes from a very sativa-based line. The Mexican strain Highland Oxacan Gold (H.O.G) is crossed with Purple Thai and Chocolate Thai, as well as an indica-leaning Afghani. Blueberry is what you get when you have a breeder who meticulously plans and selects for specific traits, and is willing to spend the time needed to do so. This could mean that the breeder – DJ Short – purposefully picked sativa strains that produced the occasional indica strains to breed with. This could explain why Blueberry has so many mutations, some of which are highly sought-after, but this is not the only reason (the “crinkle” comes from Thai genetics). Blueberry is popular amongst those suffering from stress, depression and insomnia, and its high level of CBD makes it great for pain, too. Before OG Kush, there was Master Kush – a stony, relaxing, uplifting strain that produced indica effects, but allows one to keep focus. Master Kush heralds from two landrace kushes that come from India. The flavor is truly “old school” – earthy, with hints of citrus and incense – and is reminiscent of charas. This suggests a complex terpene profile, with limonene providing a sharpened sensory awareness that helps combat some of the sleepy effects. The citrus flavor also suggests that, alongside Lemon Thai, this could be one of the backbones to OG Kush. When Sensi Star was introduced to the world in 1995, it blew pot enthusiasts away. At the time, it was one of the strongest strains around, and it still holds its own today. Sensi Star was pretty much the ultimate “couchlock” strain, and it produces some excellent shatters and waxes thanks to the resin production. Nobody knows the precise lineage of this strain except Paradise Seeds itself, but like most indicas it seems Sensi Star comes from Afghani stock. 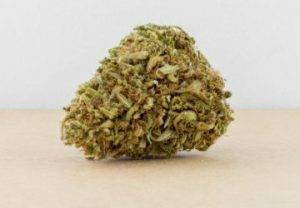 There is a sativa-leaning phenotype to be found in Sensi Star, though, so don’t be surprised to find that there are some haze genetics in a batch of seeds. Before GDP was on the scene, getting purple bud was a novelty. Indeed, anyone who had a regular supply of purple buds was considered a cannabis king, as the flavour and appearance were so unique. 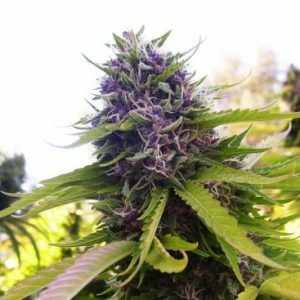 GDP changed all of that, and now growers could get purple buds without having to mess around with temperatures and the like. The flavor matched the appearance, too: sweet, grapey and berry. Sure, there was GDP’s parents in Purple Urkle/Mendocino Purps, but they were prone to problems with hermaphroditism. Adding Big Bud to the mix for GDP was a master stroke. Not only did this add yield and potency, but it improved the growing experience. The result is a euphoria-, sleep- and hunger- inducing cannabis strain with a complex cannabinoid profile. Excellent for stress, cramps and muscle spasms. Other indica strains of note: White Rhino aka Medicine Man; Critical Mass; Mango; Herijuana; Hash Plant; Black Domina; Maple Leaf Indica; Blue Cheese; Chocolate Chunk; Lavender. Now, we know there are hundreds if not thousands of indica types, but we tried to pick the most influential ones. Some of the new hybrids might surpass some of the old ones, but the best old ones will always remain a building block for thousands of strains in the years to come. If you’re interested in getting a medical marijuana card then get in touch.